When Mike Weeden and his family decided to buy a boat, they thought they knew exactly what they wanted. 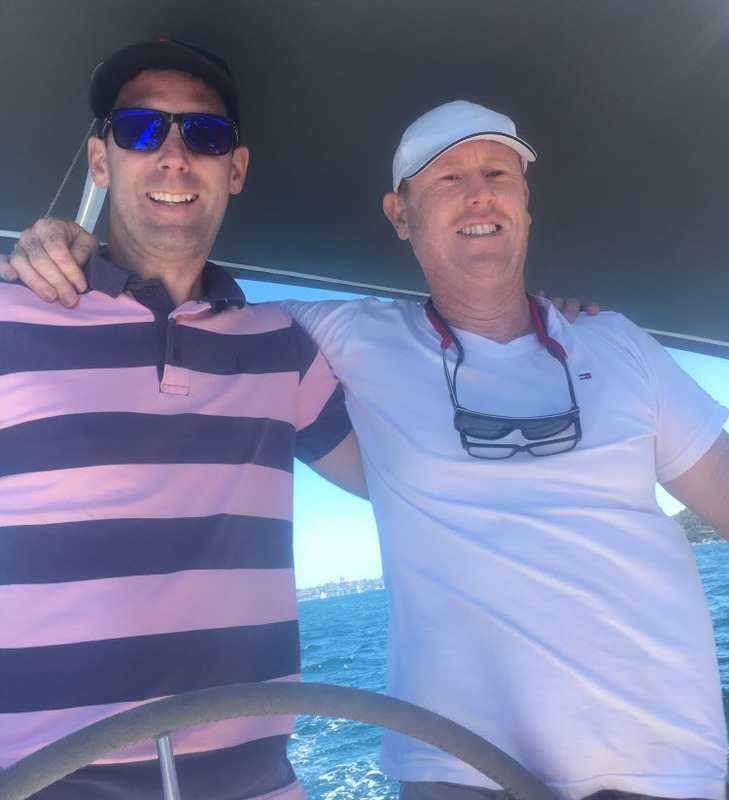 “I was fairly new to boating, but I knew enough to take my family on a bareboat charter yacht holiday in the Whitsundays, which we all enjoyed immensely,” says Mike. “I’d also recently been out on a friend’s 50-footer so I’d learnt some of the basics of sailing. “Because I’d started to fish a bit off the wharf at West Seaforth, I originally decided to trial a small fishing boat at Roseville Chase, but I soon realised there were two big problems with that scenario. Firstly, the hassle of getting a boat on and off a trailer would mean I just wouldn’t use it as often as I’d like to, and secondly, a trailer can only accommodate a boat up to 5 ½ metres in length. As my wife, Elle, pointed out, if we were going to buy a boat, we may as well get something we could all fit on, something we could all use together as a family. 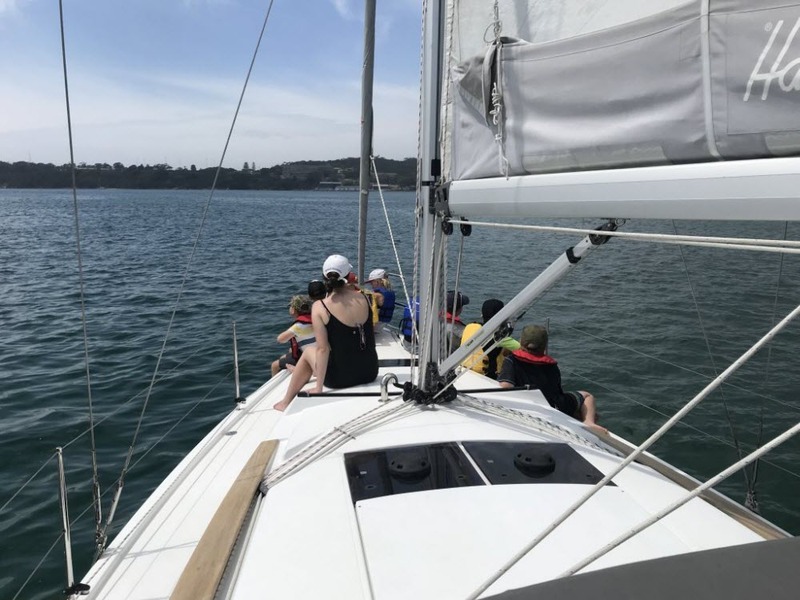 My children were both really enjoying learning to sail at our local Middle Harbour yacht club, so it made sense to buy a yacht, but unless we had our own mooring, we knew we just wouldn’t use the boat. It was actually the staff at Clontarf Marina who suggested it might be a good idea for Mike to have a chat with Martin Lyall at SMART Boating. 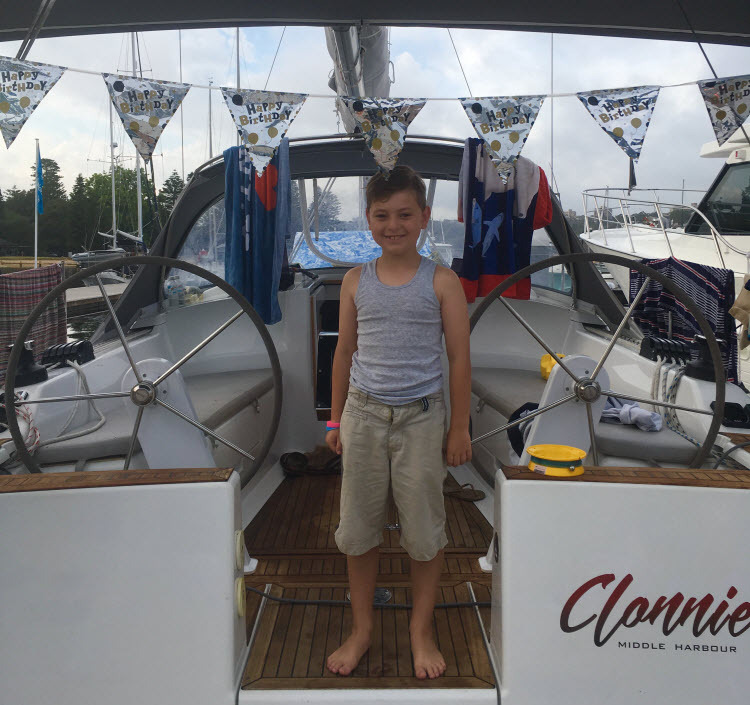 “Martin showed us a stunning new Hanse 345 based at Clontarf Marina and explained how a SMART Boating syndicate worked. It very quickly became apparent that even though we had initially thought we would buy our own boat, buying into a syndicate actually made sense on so many levels. Financially it checked out. Even if we were to buy our own one-cabin boat that we kept on a trailer, it would set us back at least $60,000, whereas with SMART Boating just $29,500 (plus a monthly fee) secured us a two-cabin Hanse 345, with its own permanent berth. Location wise, it also made sense. Because Clontarf Marina is down the hill from our place and our kids are both learning to sail in Middle Harbour, we are down there every weekend and it literally takes just a couple of minutes to get to the marina. And finally, convenience-wise a boat syndicate is a real no-brainer. SMART Boating offers a true walk on, walk off service, which means we don’t have to change the bed linen or clean the boat … they look after all the maintenance for us. 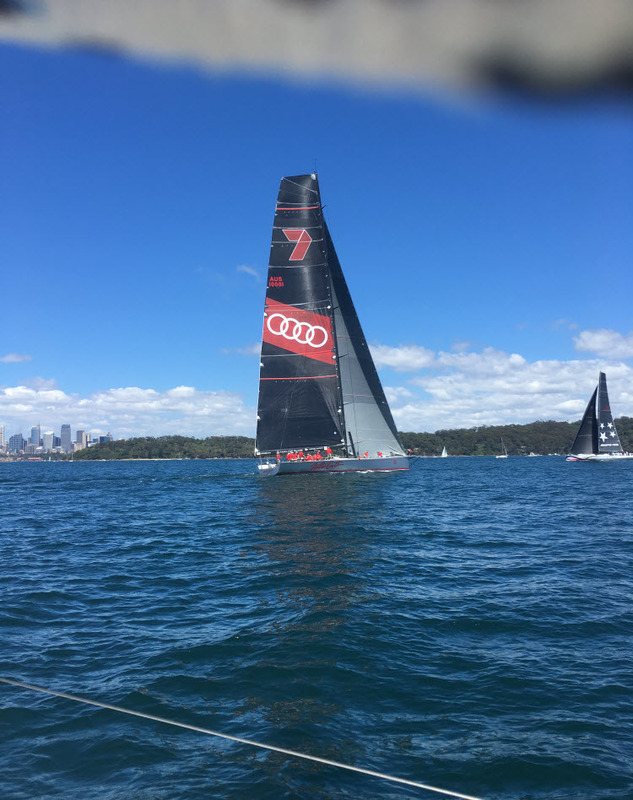 For Mike and his family, a big part of the attraction of a SMART Boating syndicate was how meticulously the boats are looked after and how well organised the syndicate system is. “SMART Boating are very meticulous about their fleet, which are all brand new boats, cleaned and maintained to a very high standard. At the end of every SMART Boating syndicate term, all owners receive an equal share of the boat’s net sale price, so I know I’m sharing my boat with other like-minded owners who are as equally invested as I am in looking after the boat. I know my boat is always in safe hands. Both David and Martin are friendly and relaxed, and one of them is always around to help or give advice if I want it. If there are any little problems with the boat, they are always sorted out straight away. 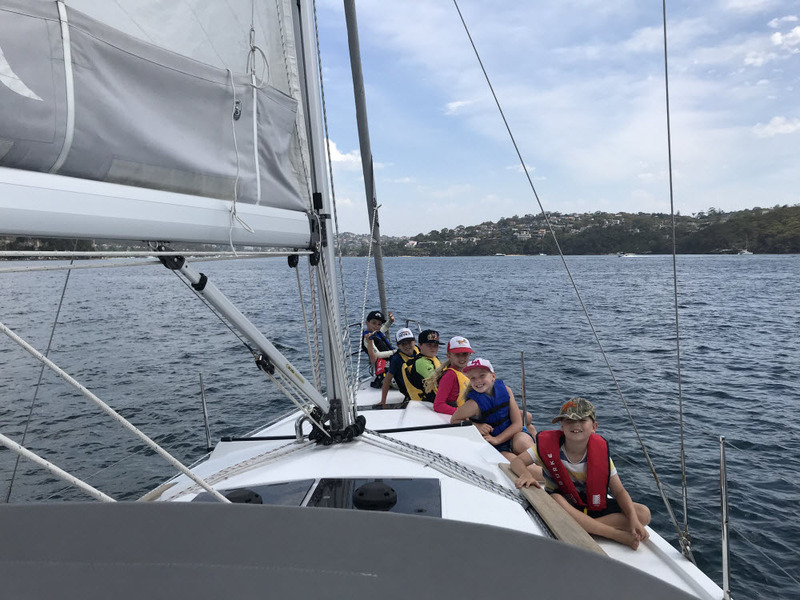 “Clonnie is just so incredibly versatile, whether I want to take her for a midweek sail in strong winds offshore, cruise the harbour with friends or family on the weekend, or even pop down for a quick lunchtime sail during the week. 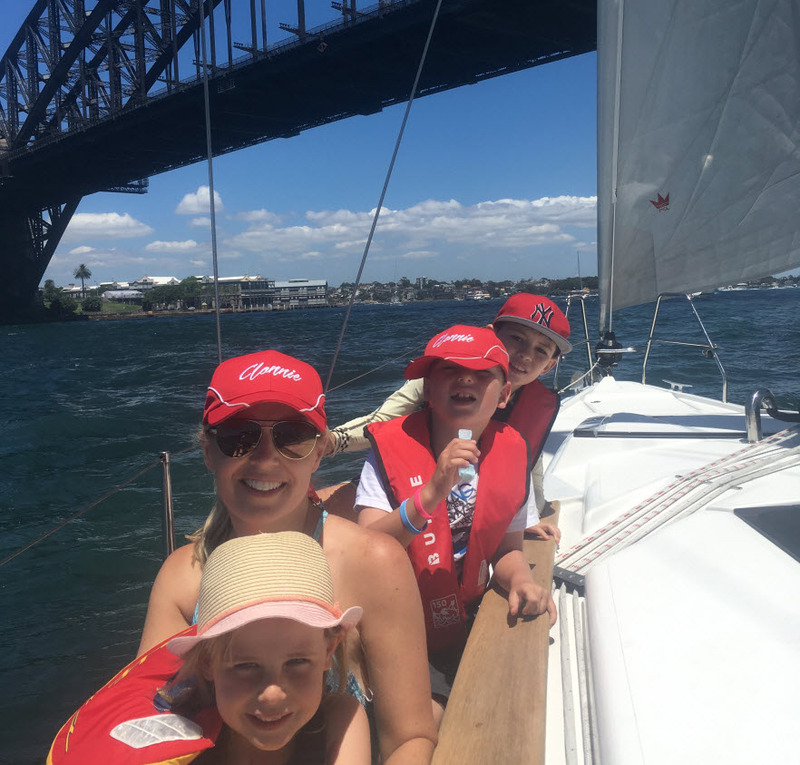 My kids, Jemma and Dan, are seven and ten, and they love going out on the boat and practising their sailing skills. Their confidence around water has dramatically increased and they now enjoy sitting up the front of the boat, swimming and jumping off the big boat. For Dan’s tenth birthday recently, we took a group of his friends out on Clonnie and they had an absolute ball, sailing between Clontarf and the Barracks at Balmoral. Because it is predominantly a nor’easter wind, we put a tack in and each of the kids had a turn sailing. Two of his mates even slept over on the boat the night before while it was still in the dock, and that was a real adventure for them. We go out for a day ... and it feels like we’ve been away for a week! “When we signed up for Clonnie in November we were one of the first owners in the syndicate, and because the booking diary didn’t officially start until January 2018 we virtually had the boat to ourselves for those first few months. We’ve taken Clonnie to so many places already: Castle Rock, Rose Bay, Manly Cove, Hermits Beach, all around Middle Harbour and of course under the Harbour Bridge. We’ve even taken her offshore. There’s nothing like the feeling of sailing, and I’m not just talking about racing. Even with 10-12 knots there’s enough wind to push the yacht downwind, enjoy the open harbour and experience that full body feeling of sailing. The Hanse 345 is crazy good for sailing. 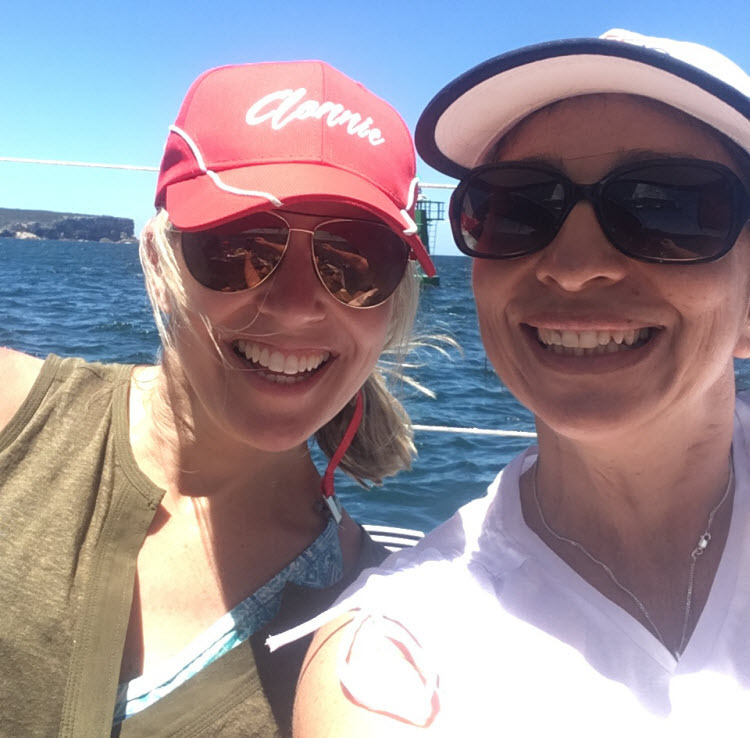 We are in a very comfortable zone exploring inshore in Sydney Harbour, but this coming summer we’ll probably sail her up the coast to explore Pittwater as our confidence grows alongside our sailing experience. “Right from the start, it was really important for me that the cost of owning my own boat would be manageable and the location of the boat would be easily accessible. Sometimes, after we’ve been out on Clonnie for the day, Elle will drive the kids home in the car and I’ll go for a run home because Clontarf Marina is only a ten-minute run from our place. Just like learning to sail a yacht, owning a boat is a challenge that is good but only as long as it is achievable and not ridiculous. By becoming a syndicate owner we’ve found a way of owning the boat that suits us and our limits. NEW BOAT SHARE SYNDICATES NOW AVAILABLE. FIND YOURS HERE.